One thing considerably important to your business is your business card. You present your business card to your prospective clients in the meeting, exhibition & formal meetup. The quality and design of your business card is very important. In Business Card Printing Dubai, we have focused on the best companies that can provide you with the quality business cards at an affordable rate. We have discussed below, some of the known and recommended business card printing companies in Dubai. These companies not only print business cards but also deliver to your office. These companies used quality material to ensure you get the most out of your business card printing Dubai process. Insights is a company which designs and prints business cards and offers a wide variety of business card finishing and printing options in Dubai. You can now get your Business cards printed in minutes without any inconvenience and can print on a wide range of substrates and can have special effects like embossing and foiling on your business cards. Business cards can be printed on both offset printing and digital printers, according to your choice. Insights also offer the services of designers who can help you decide an excellent business card, especially if you are looking for a brand new design. The business cards will be delivered in just a few minutes on digital business card printing while it will take more time on an offset printing machine. Creating a good business card reflects your brand so it is truly imported you create a memorable first impression with business cards. The right business card speaks volumes. Spectrum Digital Print Solutions in Dubai have a very skilled team that can create a personalized design for you, just give us your artwork and they will use it to bring your ideas to life. Almost anything, from colorful cards in black and white and from paper cards to plastic, you’ll find these all at this business card printing company. To make your business card stand out from the crowd, Spectrum has a wide range of options. 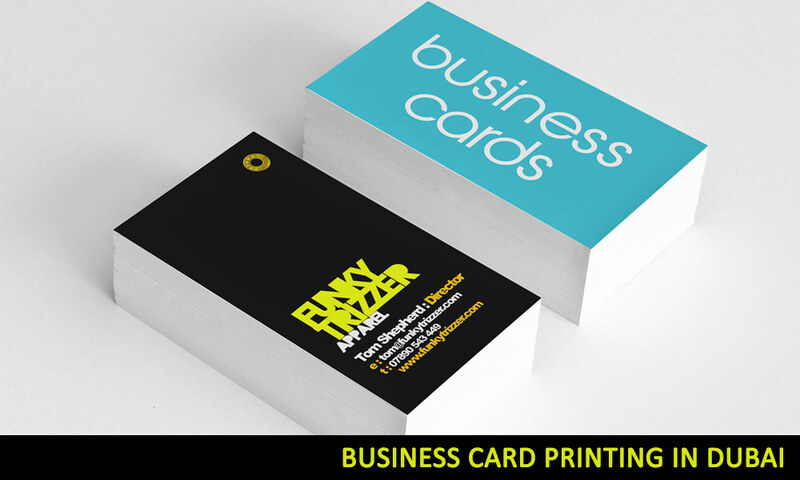 One of the most demanded and popular business cards in Dubai is Matt laminated cards. It is printed on a durable 400 gsm paper which is protected with silky Matt laminations on both side and is not so east to bend. This paper has vibrant colors so any design will look elegant and nice on it. The Matt laminations add a silky touch to the paper, but it tones down a bit of the color. The business card is an essential part of any business establishment. A neatly printed business card can contribute to the well reputation of your company. So now get rid of all your business printing and designing worries as the well experience team of “Printr” offers complete help to its clients with high quality services from selection of material to the final product. Superior quality offset printing solutions are offered to finish like die-cut, gloss lamination or matt, gold or silver foil stamping, etc. Now you can get your business card in a little time with excellent quality. It can definitely be one of the best options for your business card printing solution in Dubai. For your business card printing Dubai needs, above mentioned are the recommended companies. If you want to recommend a service for business card printing in Dubai, please add comments below. Brilliant post, keep the good working.